Sybella arrives at the convent’s doorstep half mad with grief and despair. Those that serve Death are only too happy to offer her refuge—but at a price. Naturally skilled in both the arts of death and seduction, the convent views Sybella as one of their most dangerous weapons. But those assassin’s skills are little comfort when the convent returns her to a life that nearly drove her mad. Her father’s rage and brutality are terrifying, and her brother’s love is equally monstrous. And while Sybella is a weapon of justice wrought by the god of Death himself, He must give her a reason to live. When she discovers an unexpected ally imprisoned in the dungeons, will a daughter of Death find something other than vengeance to live for? 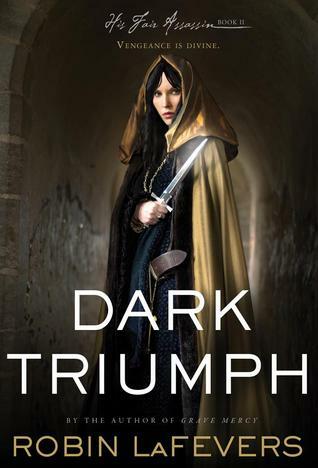 This heart-pounding sequel to Grave Mercy serves betrayal, treachery, and danger in equal measure, bringing readers back to fifteenth century Brittany and will keep them on the edge of their seats. Summary and picture taken from Goodreads. Oh Man! Was I happy to realized that there was another book in this epic world or what! Grave Mercy was one of my favourite books of 2012, so it is only fair that I cannot wait to get my hands on some more lady assassin. I absolutely love the concept of assassins and devour books about them, so I'm very excited for more. 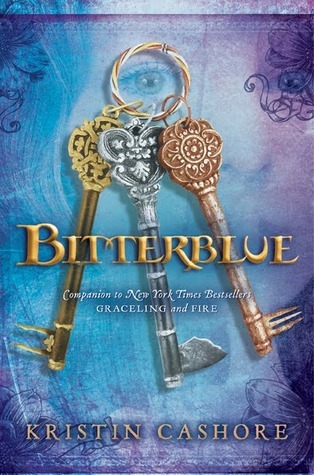 Also, this book follows Sybella who is a character that we meet in Grave Mercy. Personally, I found her very interesting and mysterious so I'm looking forward to learning more about her and her story! Nice! Just saw this one a few blogs back! New follower! Great choice! I haven't been able to get my hands on Grave Mercy yet, but I really do want to read it soon. OMg! Yes!!! Loved Grave Mercy. I am so excited to get my hands on this too!! !